After a long, hard-fought battle, Carly Fiorina suspended her presidential campaign on Wednesday, after a disappointing showing in the New Hampshire primary. In an official announcement via Facebook, the former CEO took a moment to send a powerful feminist message to young women. And there's one quote in particular that every woman needs to pay attention to. Even if you're not the religious type, you get what she's saying. A feminist is a woman who lives the life she chooses and uses all her God-given gifts. Fiorina was quick to bring sexism into the conversation at key points throughout her campaign, and in retrospect, she may have been right. It certainly seems that a male candidate with that much personality, common sense, and rhetorical skill would have been dominating the polls, but Fiorina just barely broke above 10 percent of support. And while her policy proposals sometimes felt weak, this Republican race hasn't exactly measured success by the strength of ideas (*cough* Donald Trump *cough*). Yet trading on that sexist stereotype to help her stay in the race might have been tolerable if it had actually made her into a serious contender. But Fiorina couldn't get the credibility enjoyed by other candidates, and her campaign limped along until she respectfully conceded. Sadly, despite being just as qualified as (and at times much more impressive than) many others in the field, she never gained the traction she probably deserved. 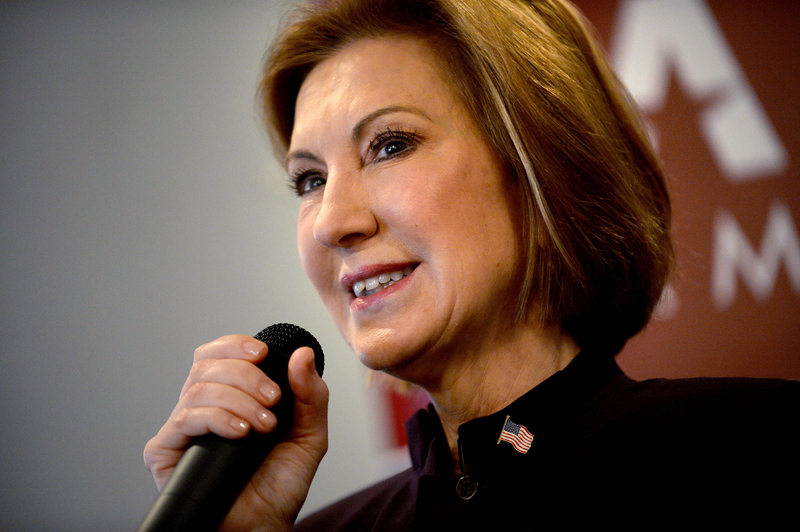 Even if you don't agree with Fiorina's politics, you should definitely be impressed with her campaign. Almost solely on the merit of her public speaking prowess, she fought low numbers and clawed her way onto the main stage debates. She stuck to her guns, fought tirelessly to improve her campaign, and held on for as long as she could. And in the end, she really just wanted to tell women to believe in themselves and accomplish great things. That's a sentiment that any true feminist can support.